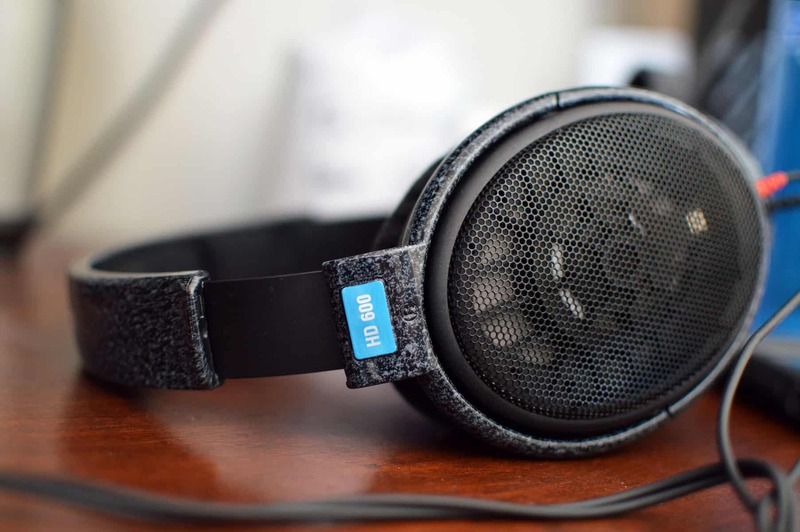 HomeOpen Back Headphone ReviewsThe Sennheiser HD 600 Review | THE GOLD STANDARD? 3,585 word post, approx. 6-7 min read. Comfort. This headphone is easily one of (if not the most) comfortable I’ve ever worn. 99% of the time you will not even notice it on your head (after the break in period). Price to performance ratio is through the roof. All parts are replaceable, as it’s stood the test of time. It does well with any genre, it’s versatile with most any amp, and it’s easily the most neutral headphone in it’s class. I use the HD600 as a benchmark for comparing every other headphone I come in contact with. Sound. There’s a reason why the HD600 is still relevant after over 20 years (1997). The sound will completely blow you away if you’re new to the hobby. Tonal balance, clarity/resolution, instrument separation and more are all incredible with this headphone. Highly Rated everywhere you look (All ratings subject to change). It has a 4.79/5 overall rating on Head-Fi, and is surely one of the highest rated products I’ve ever seen on Amazon (sometimes hitting 4.9 out of over 500 reviews). It will make you look at music in an entirely different way. This is a headphone that made me reconsider a lot of things that I thought I knew about recorded albums. The HD600 presents tracks in their most raw state, and will have you revisiting a lot of old favorites that you’ve long since forgotten about. Click to navigate the HD600 Review! I’ve put this off for a long time, but finally I’m here today to deliver you the acclaimed Sennheiser HD 600 Review! My goal for this post is to outline as much information as possible, while also hopefully convincing you that above all, this is the absolute, without a doubt best mixing/reference headphone on the planet in it’s class or otherwise. I’ve done a plethora of headphone reviews, a countless amount of research hours, talked to some really knowledgeable folks within the audiophile world, and tried them myself. For awhile I went back and forth between 3 options: The HD600, the DT880, and the AKG K701. After discovering potential problems with the K701 (unnaturally large sound-stage/lack of bass, & build quality issues), I was torn between the DT880 and 600 for the longest time. Recently I stumbled on some of Metal571’s reviews (specifically his 600 review), and reached out to him. He said without a doubt the HD 600 is the go to because of the issues in the 880’s loss of detail in that spiked treble range, which can lead to harshness/sibilance. Check him out on twitter! Also: Check out The best studio headphones for mixing! The consensus is almost universal though: If you need the flattest, truest, and most neutral sound, absent any coloration or hyped frequencies, The HD 600 is your best bet. 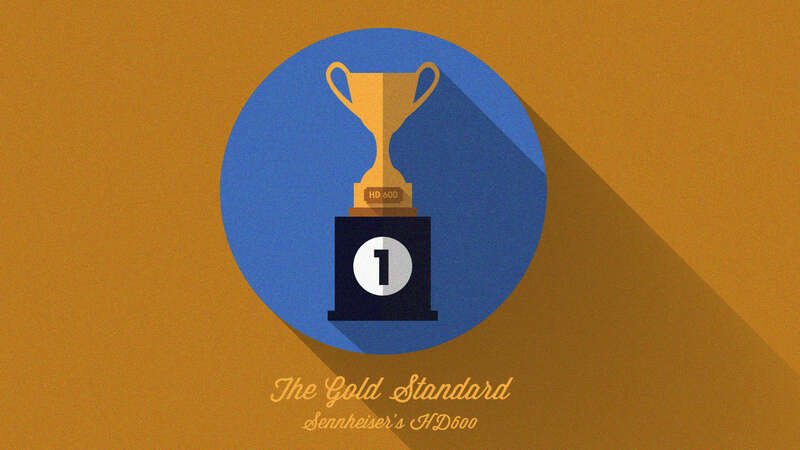 It is the classic reference, the go to, the veteran, the Gold Standard, the tried and true. About as close to perfection as it gets (in it’s class). Insert any positive phrase or statement here and it’s most likely an accurate one. Add to that longevity. The 600 has been around since 1997 and doesn’t plan on going anywhere anytime soon! Before we get into the specifics though: Grab a snack, sit back and relax because .. Frequency response: 12Hz – 39000 kHz. Color: Speckled blue finish, black. The HD600 is a open back, reference headphone made for use in an isolated studio or quiet home environment. Closed back vs. Open back headphones. They do leak sound, and really aren’t meant for on the go situations. I would also urge you to purchase proper amplification to go with these bad boys; they will not sound anywhere close to their potential coming out of a mobile device, laptop, PC or otherwise. The sound is much too quiet to be anywhere close to enjoyable. How to choose a headphone amp! 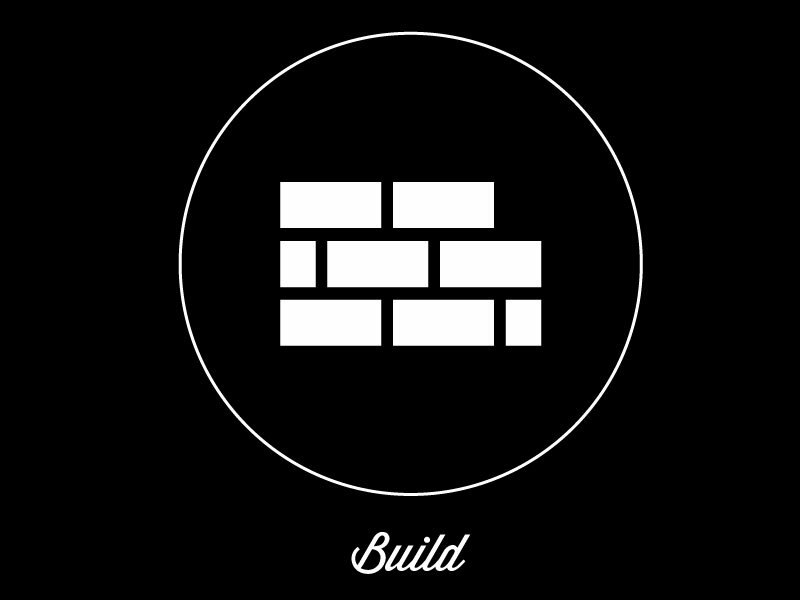 Build and construction wise, they are solid, but light, and are made of mostly plastic. The headband is metal, which is a huge plus, but be aware of their clamping force when you first put them on. It will likely take a bit of continued use to wear these puppies in. After awhile they will start to fit very snugly on your melon. Other highlights include a removable cable and those comfy velour ear-cups that we all love. The only issue for me any many others is the cable. It’s really thin, flimsy, and long. I’ve lost count of how many times I’ve run over this thing with my computer chair. Unfortunately, they really look and feel like 1997, but surprisingly the cable has held up remarkably well for me even despite borderline abuse. Overall build is very solid and these should last you a lifetime given proper care. All of the parts here are easily replaceable as well! The grille is made of metal mesh, the cups are velour, and both are very easy to take off of the headphone. Some people don’t like the speckled blue finish, but I find it personally adds a bit of a unique touch to the headphone. Is it a bit retro looking? Maybe. You may prefer the color the 650 more. It just depends. I did have to make a slight adjustment because the headband was digging into my dome piece, but for the most part these are extremely comfortable. I didn’t have to take them off at all. In fact, you will likely keep them on your head without realizing it even after the music has stopped. I find myself wearing them when nothing is playing – a sign of a very comfortable headphone. The cups will wear out over time but are easily replaceable. I’m not entirely sure if worn pads alter the sound. I’d have to do a side by side with a new set. Honestly these are some of the most comfortable headphones I’ve ever worn and I’ve demoed over 80 units. Sound wise, like I said they are the classic reference. There are no hyped frequencies here aside from that 3k bump. What you get is about as close to neutral (if not outright neutral) as it gets within this price range. The sound, as originally recorded, will come through good or bad. Because of this, the price to performance ratio is absolutely astounding. The mid-range is a hare forward, so instruments and vocals really come through well. Be aware though, with bad recordings this can make the 600’s sound a bit harsh/grating. Also, the mid-range can be a tad too in your face but for the most part I love the overall sound of these headphones. In fact, every time I put them away for an extended period of time and then come back to them, I’m amazed all over again. Audiophiles really do get spoiled by the sound of this headphone! Headphonesty wrote a great article echoing this sentiment as well. Check out his Review of the HD600! I have not gotten a chance to try out the HD660S, but stay tuned as I will attempt to demo it in the near future. As for a measured graph, the bass does roll off after around 40-50 Hz which could be problematic to some. I personally find there’s enough as it’s tight and controlled, but if you’re specifically looking for a deep EDM or Hip-Hop type of bass these won’t suffice like some other offerings. The mid-range takes on a very revealing quality, and for the most part is very flat and balanced aside from the bump at around 3k. This can result in some harshness and at times gives the 600 a bit of a loud/in your face type of character (kind of like Michael Scott from the Office). Haha. As far as the treble, it’s crisp and detailed, but some may call it veiled. This basically just means it’s not as revealing as some brighter offerings (the DT880 comes to mind). 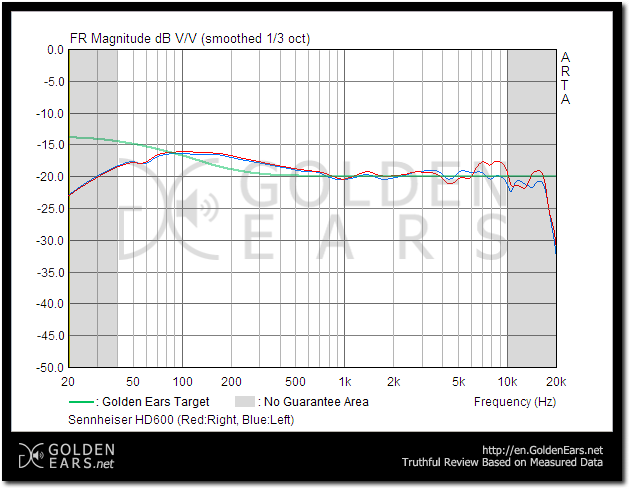 Anywho, here’s Tyll’s graph which does not show the 3k bump, but Golden Ears does show a couple of small bumps. The important thing to know is that there is a bump somewhere between 1-3k that can get a bit annoying after awhile. There is really something about these that kind of reveals the musics true colors. Think of them like that best friend you have; you know more about them: the intricate details, their personality, perhaps their heart and soul. You’re intimate with them. This is what I feel like when I listen with the HD600. It’s as if I’m getting a glimpse into the spirit of the artist or band. The naked truth. It’s hard to explain, but it’s almost as if someone took a huge blanket off of the sound. You are now able to hear most everything that went into the recording, good or bad. All of the subtle details are present, and you can hear the music in it’s most raw state. It really is a treat to behold on great recordings in particular. For instance, on Pink Floyd’s “One of my turns”, Waters sings “Would you like to watch TV? Or get between the sheets?” Right after this line, you can actually hear pants unzipping. In all my time listening to the Wall, I’ve never EVER heard that before. It’s the little things that make the 600’s really stand out. On the opening track “In the Flesh?” I’m able to clearly hear Richard Wright on the keyboard. If you’re familiar with the bands history, Wright became less and less prominent in recordings as time went on. In Floyd’s early days you could hear his influence throughout the records; It helped cement their legacy as a band actually. By the time The Wall came out, he was kind of an afterthought, which is quite a shame considering how great he was on the keyboard. The fact that I can hear every note he plays as if he was in front of me put a huge smile on my face. Awhile back I came across an audiophile guru on Head-Fi named David Mahler, out of Brooklyn, NY. 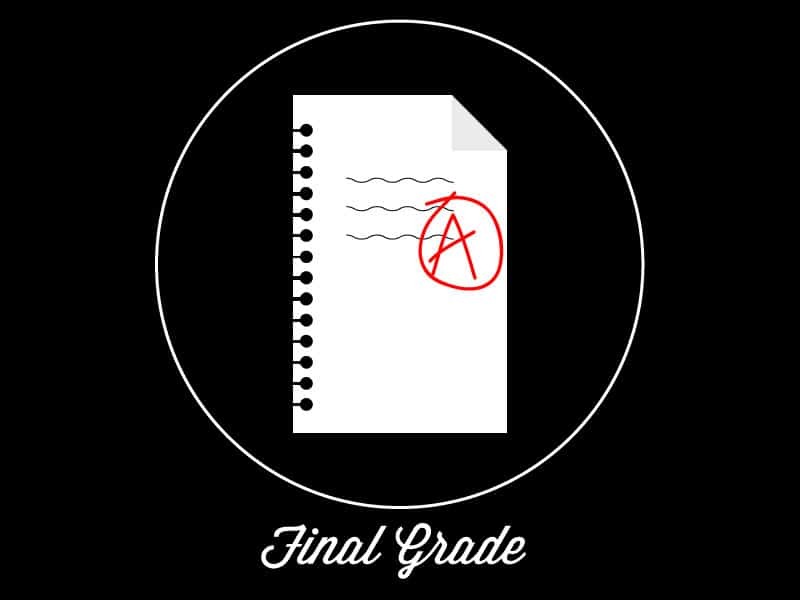 Out of 58 headphones he reviewed, only 4 got an A+ rating. The 600 was one of them. The DT880 was also one. This is, in part why it became so hard to finally decide between the 2. Tyll Herstens from Inner Fidelity also absolutely loves the HD600, as well as it’s younger and older brother. Check out his really informative post, The very important Sennheiser HD 580, HD 600, and HD 650! He seems like a really great guy, and really knows his stuff! In this new section, I document how many times and with what song the HD600’s broke me down because of how beautiful they sounded. Stay tuned for more! Pink Floyd – Great Gig in the Sky. Just an amazing vocal performance by Clare Torry. The 600’s really bring her voice to life. It’s like I got a sense of who she was at the core. Her personality and spirit shone through magnificently. Grateful Dead – Terrapin Station. I really identify with the beginning of this song, and the 600’s just magnified that feeling. Crybaby supreme. I gave it an A- because of the sometimes irritating mid-range around 3k. You’ll definitely start to notice it after awhile. It’s a bit shouty but can be EQ’d. Soundstage. It is open, and refined, but not wide like the K701 or DT 880. It’s more narrow than the 880, but the imaging has a laser precision quality about it. The instrument separation is nothing short of exemplary. Overall, not quite as “exciting” as the 880 or 701 in regards to sound stage, but much more realistic and accurate for sure. What is Soundstage? Exceptional comfort. Needs break in however, as mentioned in the summary. David Mahler (mentioned above) calls these the “Genre master”. They do well with most anything! More on that a bit later. Lean, neutral bass response. It is much more present overall than the 701. It has nice extension and digs deep, but does have some roll off. Mid-range. Some call it the most uncolored headphone, being that it’s extremely flat. However, the mids are a little forward, which gives it some nice added energy. Think fast and detailed here. Natural. Metal 571 called it the most natural, honest, and neutral headphone he’s ever heard. It kind of gives you a blank stare, which is what you want if you’re mixing down a track. Great tonal balance. All the frequencies are integrated beautifully. No one sound overpowers another. Think John Bender from the Breakfast Club: “Well Brian, you have a perfectly balanced and nutritious lunch. All the food groups are represented. Did your mom marry Mister Rogers?” “No, Mister Johnson.” Lol. Removable parts. Discussed in the open, the cable is removable, and most all of the important components can be replaced. Treble. While about as natural and smooth as it gets, it’s been accused of having a “veiled” sound. This simply means that the high end is lacking in air and harmonic content. Some energy/sparkle is lost, as well as detail. The upside of this is that the 600’s aren’t grainy or harsh at all. One of the main gripes with the DT880 is sort of the opposite: it is very bright and can be fatiguing, but also lacks detail. I suppose it all depends on your taste. A lot of people prefer that sparkling quality. While I do enjoy that as well, I prefer not to have my ears blown out in any capacity. What is the Sennheiser Veil? Cable may feel a bit cheap to some. I honestly do not like the cable at all. For one, it’s too long. It actually got caught on my computer chair and ended up yanking the headphones right to the floor. I was able to witness first hand as time slowed down and I went “Noooooo.”in extreme slow mo. They landed right on the headband and bounced up like spring, still perfectly in tact. 😀 For as much as I’ve read about the headband being a bit fragile, I was thoroughly impressed. The second gripe with the cable is that it’s the type of wire you’d expect to see on a cheap set of cans like the Sennheiser HD202, no joke. But I’m kind of nitpicking. One thing you have to remember is that these came out in 1997. The wire is simply showing it’s age in my opinion. Clamping force a bit tight on your dome at first, but does open up over time. Click to see the HD600! Note: I put a watermark on them because other sites have been using my images without permission. Luckily for you and me, this headphone is not amp picky in the slightest. It will do well with just about anything. I used the Schiit Magni/Modi stack for 2 years from December 2016 to December 2018. It’s a clean amp and I enjoyed my time with it. Headphone Impedance. The higher the Impedance, the more the headphone will resist power fed into it. Related: What is Headphone Impedance? Sensitivity. A measure of efficiency. A low number is generally around 97dB and below. A headphone with a number over 100 indicates that it’s very efficient and does NOT need a lot of power from the amp to reach acceptable listening levels. Sensitivity is in my opinion a better indicator of whether or not a headphone needs an amp, but both metrics are important. Related: What is Sensitivity in Headphones? Power Output of the Amp. This is important when deciding on the amp + headphone combo you go with. 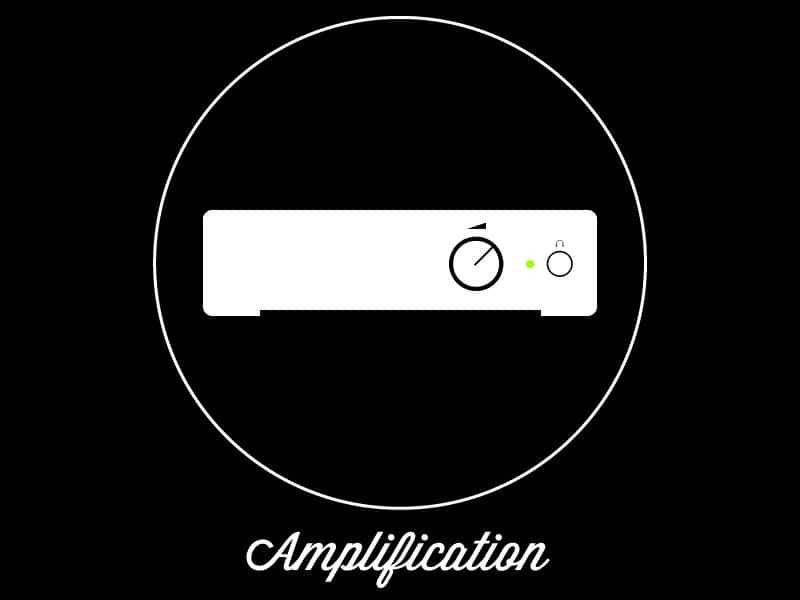 Make sure that the amp provides enough power into the Impedance rating of your headphone. For instance, the Objective 2 provides 88mW into 600 Ohms. The HD600 at 300 Ohms only needs 20mW. Armed with that knowledge, let’s take a look at some good options for the HD600. I do like the Objective 2 from JDS Labs a bit better than a Magni as a long term desktop solution. It’s got a squeaky clean signal and sounds phenomenal with the 600/650. Lots of great spacing, air, micro detail, etc. Learn more: JDS Labs Objective 2 Review! A Budget Option that will work really well with both the HD600 and 650 is the FiiO E10K. I used one extensively with both and it provides just enough power if you’re strapped for cash but need something quick. Learn more: FiiO E10K USB DAC Review! The Audioquest Dragonfly is my pick for people who want extreme convenience and the ability to easily listen with their phone. If I had to choose one Amp/DAC on a deserted island, of course it’s gonna be the Dragonfly for a multitude of reasons 😛 Learn more: Audioquest Dragonfly Red Review! Bottlehead Crack (I will probably purchase one of these in the future). It is a DIY project just so you know. Darkvoice336e. Highly endorsed for both the 600 and 650. If you’re interested in some more options, I go over a bunch in my comparison article: Sennheiser HD600 vs. 650. Producers and beat makers, needing the most honest sound for their mixes. Casual listeners who want to re-discover all of their old favorites. Listeners in a quiet and isolated environment. If you want to hear what was recorded in it’s purest state, the HD 600 is the headphone for you. Hands down. About as close to perfection in this price range or otherwise, it’s been called the Gold Standard for a reason. It’s neutral, honest, flat, but also remains immensely enjoyable, especially with regard to instrument separation/clarity, timbre, and it’s slightly forward mids. What is Timbre? The mid-range gives a tinge of color which contributes to a fast paced and energetic sound that you can get excited about. I think I’ve pretty much summed it up, but if you’re on the fence between the K701, the DT880, and the HD 600 (as far as reference) just go with the 600. It’s Sennheiser’s cream of the crop, and has somehow stayed relevant for over 20 years, despite an influx of newer headphones saturating the market. The DT880 is a phenomenal headphone, but suffers from a slightly harsh high end/treble range. The K701 is super neutral as well, but lacks any sort of bass impact, and possesses an unnaturally wide Soundstage that lacks that all important center image. The 600 is the go to, and will likely continue to be for years to come. SEE THE HD 600’s FOR YOURSELF ON AMAZON!! Interested in learning about the HD650 and it’s warmer, more succulent sound? Well that’s about it for today my friend! I hope you’ve gotten some valuable information out of my Sennheiser HD 600 Review! Do these headphones deserve that Gold Standard moniker? Be sure to let me know!! If you have any other questions, or feel I’ve missed the mark on something, leave a comment down below or Contact me! I very much look forward to speaking with you..
Should you buy the Sennheiser HD 598? | A DEFINITIVE ANSWER! Very nice review here! Thanks for being so specific and even detailing which genres of music you think they are most suitable for! Right now I’m using some KRK mixing headphones but might come back to this website to try these ones… Been kind of wanting a new solid pair. Anyways, great info here, keep it up and thank you! The HD 600’s are far and away the best buy in the world of audiophiles.. especially when starting out. What model KRK’s do you have? I’d be interested to do some research on ’em. It was just last month that I finally had to replace my very old and shorting out AKG headphones. I really fell in love with the Sennheiser options that are out there. The HD 600 is so awesome, and certainly on my list for the future but I settled for the HD 360. I am so happy with them and they are a great step up from the old ones. I had no idea the HD 360 existed. I haven’t heard one thing about them since I got into the world of headphones. I will definitely have to do some research on that. Agreed on all fronts. My next pair of headphones will definitely be the HD 600, seeing as how I need the best mixing/reference can. Thanks for stopping by and enjoy your headphones! First of all I must tell you that as a guy who read so many sites about headphones ( for example I read all of these 36 headphones expert sites http://pickyear.com/best-headphones-under-100/ ) your site is one that I love the most. I also noticed you are huge fan of The Sennheiser HD 600. I am the proud owner of these headphones since 2001. I am curious to know what is your opinion about the high quality cables ( like cardas ). Do you think they’re worth the money? Thank you so much for the support and friendly comment! I work really hard on this site and it’s good to know that people appreciate what I do. As for the Cardas cables? I have heard countless times from different sources that the quality of cables doesn’t really make much of a difference at all. Though I don’t have direct experience in buying separate ones, a lot of people like to err on the side of caution before spending huge amounts of money on cables that most likely won’t benefit the sound in any way. In contrast, Tyll Herstens at Inner Fidelity says that they do make a difference, but it’s not a big one. Headphone cable measurements For beginner enthusiasts reading this, I wouldn’t really worry about it that much. It is something to take into consideration in the future, but your money and time will be better served elsewhere for now. Hope that helps! Any other questions just ask! I appreciate you stopping by.. I already own an HD600, and all I can say is that they’re the best headphones I’ve ever had. I was looking for a good amp/DAC for them, and I ended here, and everything on the review matches exactly with the experience I’ve had with them. 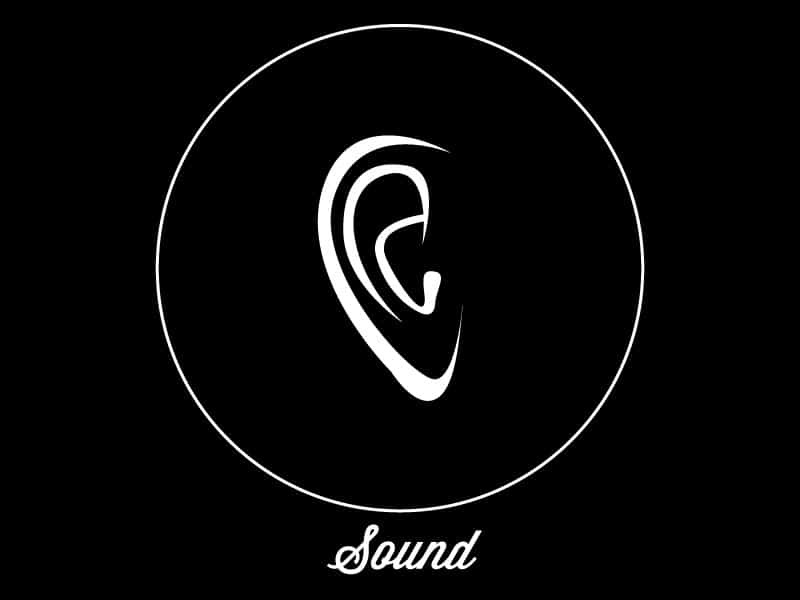 I really recommend them to anyone, from people who just love music and want to sit on their homes and listen to their favorite artists (like me), to producers and sound makers that want a really accurate sound to mix, equalize and compress their songs to make them sound as good as possible (again, like me). The only bad thing I could say about them is that, since I love bass, they feel a bit weak on that side, however that’s just something about personal preferences, and it shouldn’t hold anyone back from buying them, since you can easily solve that with other ways. Love to hear testimonials like this! The bass is accurate and tight, but without that impact that you’d find in other headphones. What do you think about the treble and the supposed veil? Can you Describe the how these headphone handle bass? I love bass that’s strong, accurate, deep and clean, but not over kill/used. Just curious if these can handle most anything thrown at them. It’s not the number #1 thing I’m looking for in the headphones, want to ensure they are capable of doing so when needed. Yes one of the best qualities of the 600 is that it can handle pretty much any genre. The bass is accurate and tight, but definitely not over done. I would say there is more bass on the 600 as opposed to something like the K701. If you’re not looking for overkill, I would say the 600’s are perfect. The only thing is that the treble has been accused of being a bit too laid back, but some say it’s a myth and I would tend to agree. What is the Sennheiser veil? What exactly are you looking for in a headphone and what will you be using them for? The 1840 is definitely a solid headphone. I’ve also heard great things about the Audio Technica ATH AD900x. I have read a lot about it and many are saying they actually prefer it over the HD600! A pretty bold statement, but it wasn’t only one person. While they loved the 600, they liked the 900x even more. Something to think about! Glad you stopped by. Let me know if you have any other questions. Many thanks for your huge help in choosing the right headphones for my Yamaha Z9 and for your very fast reply. Your help was priceless! Great review 🙂 I am still in love with my HD600s, the romance is never ending. Great upgrade possibilities on the horizon for the HD600s with balanced DAC / AMP combos becoming available at reasonable prices. Yeah they are quite amazing. Get a good FLAC or WAV file and Wow. The clarity and instrument separation is unreal sometimes. Have you ever considered the Bottlehead Crack DIY project? I really want to try it at some point. Great review! After owning several entry level headphones Bose Ae2, UE Triple Fi, Senn 598C’s among many other far lower quality headphones I decided to step up to the HD600’s in Dec and have loved them ever since. They just really are amazing, I can listen to music for hours and have to ear fatigue or head fatigue since these are designed so well. You really do forget you are wearing them sometimes. I pair them with the O2 dac and amp, which is a solid combo as you also mentioned and which i recommend. You were right on the money pointing out imperfections, lacking sub-bass which it sometimes obvious depending on the track. The lack of treble, or “veil” as some say is fine with me. I believe that is the HD600 is not taxing on your ears. As a drummer myself I listen for the cymbals and highhats and can always easily hear what is going on, I would say that nothing is lost in the higher frequencies but some would perceive the sound as dark or dull. On contrast I just picked up a set of ATH-M50X, I just had to see what all the hype was about. After about 2 hours of listening for far, I think I can honestly say that I will be taking these back for my $223 (CDN) refund. My initial impressions were great, very initial….. like 2 songs. Tons of bass and treble in your face. They take nothing to drive either my O2 is blasting them a level 2 or 3 on low gain setting. Anyway after a few listening sessions I feel I have had enough, they are less comfortable to wear that the HD600’s but the biggest problem is the intense treble that makes you have to take a break after about 20minutes. Also after listening to tracks I am extremely familiar with I find the mid bass (toms, some lower guitar) I find it very muddy, as a drummer i notice everything sounds lower that is should. In short I highly recommend these headphones for anyone and paired with a good amp (which you do need to get any punch) could be your last headphone purchase. EVER! Yeah man, I totally agree on all accounts. The M50 is a great entry level can for the casual budding audiophile and the sound will definitely excite you and make you want to get into better sound. It’s really just the tip of the iceberg. I would say that for anyone reading this, an all around better option than the M50x would be the Sennheiser HD25 if you’re into that intense sound that doesn’t compromise the mid-range. I truly believe that the HD25 is what the M50x should be, but isn’t. The detail and articulation is unreal sometimes, and the bass slams hard without getting in the way. They are also supremely lightweight and can take a beating. Indestructible really. 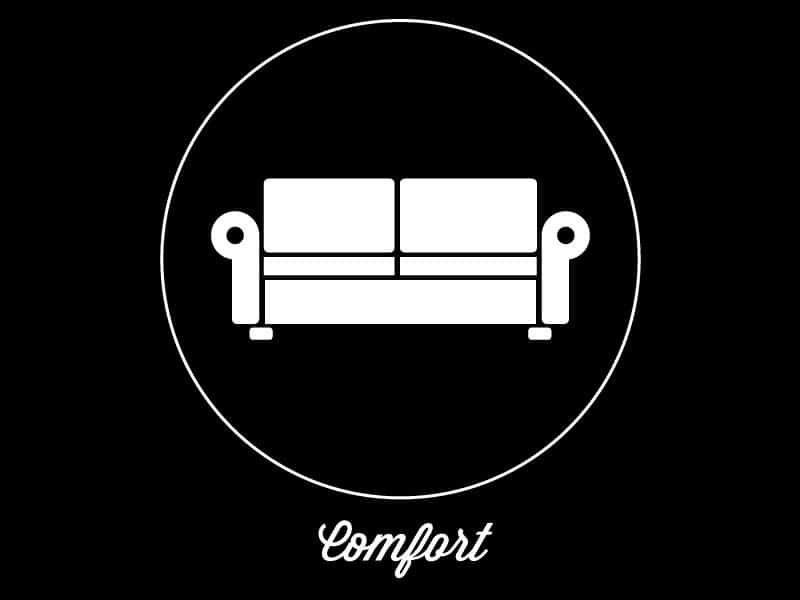 Comfort wise, yeah you will have to take a break, but the sound will keep you coming back for more. As for the HD600’s, yeah they are about as close to perfection as it gets. You’re right about the amp too; if anyone reading this plans to purchase the HD600’s, an amp is downright mandatory. Some people will tell you otherwise but it’s just asinine not to invest in one. The sound will be much too quiet out of a portable device and it’s just not recommended at all. Top 2 choices are the 02 as you’ve said, and the Schiit Magni Modi combo. 1) Since 1997 -a 20-year old design; It would be instructive to inform readers of the genesis/lineage of the HD-600. 2) Personal SQ impressions; I suspect your SQ assertions are accurate. However, when discussing in such detail, it would be educational to introduce its measured ‘frequency response’ for correlation. the source (cabling) and driving amplifier contributes significantly to what we hear from the headphone. 4) Comfort/Fit: No mention of range of head-band adjustment -to accommodate varying head sizes. With that said, I was pleased to see/hear the’clicking’ sound of the headband as you went through its range of positions; it immediately informed me that (if a precise fit could be achieved -i.e. head size), then a solid fit will be securely maintained. ( You did mention (understandably -lol) the German “feel/sound” as the headband was adjusted, but did not stress -or even mention- that such a precision fit is possible and/or will be maintained. Greater personal experience would have alerted you to the importance of this simple (but amazingly overlooked -by manufacturer) element of headphone/band design. In the past (for many years/decades, Sennheiser made consistently (Made in Germany) excellent product. I suspect, sometime in the 19990’s, (2000’s?) that the company was either sold, or a new management team initiated. Today (including the past 5-10 years), the sheer range of (unnecessary) models, questionable build quality and a desire for “modern” styling (appearance/looks) ahead of proven performance criteria (headband design for example) makes today’s Sennhesier more of a hit/miss proposition. Consider, for example, the current 500-600-series offerings; how many are there, 3-6 different models (within a rather narrow price range). Why ? Looking beyond Sennheiser (and within this ‘mid-range’ price point) the exemplary performance (sound), comfort/fit of the sensational Hifiman 400i should be considered. It too, is a remarkably accurate, transparent/detailed performer that competes with the best. Back to Sennheiser; it was brought to my attention that Massdrop is offering a (equivalent Sennheiser HD-600) headphone for $149. US$ ! (as of December 20, 2017). I’ve put in my order. if/when Sennheiser returns to some sensible (and consistent) model offerings including proven/desirable headband design and accurate/neutral frequency balance/response (for their higher-priced models), it would be easy to recommend virtually any Sennhesier -as was previously possible. Other than that, a nice review . Thanks much for your insight. 1) Yeah that would be cool. I will definitely implement that into the article about lineage. I have it on some of my other pages but didn’t even think to add it here! 2) Measured frequency response would also be helpful. Thanks a lot! 3) Yes, the HD 600’s need an amp, but are not particularly picky about which you choose. Also, depending on who you ask, the type of cables used do not make a difference. This is up for debate. 4) Seems like a bit of nit picking on that first point, but I will add it regardless. 🙂 Not sure I understand what your other point is here. Please further clarify. I see your point and agree to an extent, but seeing as how all companies do this, it sort of just comes with the territory and is something we have to accept as long as people are still willing to buy outrageously priced cans for the sake of a small incremental increase in sound. One positive aspect to it is that at least some of these companies are willing to fix/change things according to feedback from us, based on what worked and what didn’t. While this works well for things like comfort and durability, the sound can simply be EQ’d to your liking. So I can understand where you’re coming from. For instance, The entire Grado e line is almost unnecessary and excessive. I’ve A/B tested nearly all of them, and they sound pretty identical. Discerning differences comes down to basically sitting there and listening for extended periods, and even then it may be your mind playing tricks on you, or you trying to make a distinction when there isn’t one. Yes, the HD600 and 400i head to head is quite a battle. I love both headphones. I feel as though the 400i is slightly warmer overall in tone, while the 600’s are more clinical and surgical in their response. That said, the 400i’s are incredibly detailed, and especially come to life with an Amp like the Bryston BHA-1 and good source material. Not sure I understand this. Which higher end models don’t fit this criteria? Also, the head band design is fairly utilitarian. There’s not really much else to say about it. Wow. Thanks for the in-depth information and definitely for the shorter version at the top. My goal is to get some good sound, but I’m not too technical so the simple parts of your review were most helpful to me. I appreciate it. Thanks for the nice comment. Are you thinking about the HD600? These headphones look like can be my next purchase. I had one by Sony , sounds great but they give me sweaty ears. Not much air flow to my ears. Will the HD 600 do this to me? I am really interested but I don’t want to get another one like the Sony. No actually. The HD600’s sport velour padding and are some of the most comfortable headphones I’ve ever worn. Clamp force is a bit tight at first but will open up over time so no worries. You can always stretch them a bit as well but be careful. There is ample room for your ears and I can wear mine for hours with minimal adjustments. Check out the almost perfect rating. Let me know what you decide. If you do decide to get them, I can recommend an Amp/DAC for you as well. You’ll need one to power these. Wow, what a great review on the Sennheiser HD 600 headphones. I have a hearing impairment and finding a good set of headphones is essential for me. These sound like the ones I need for sure. And really, you get what you pay for. I think the price is great for the quality. I have a set of Sony’s that I paid about $125 for and they are good, but not great. I think I will be looking into these. Great review, thanks! Yes for sure, if you have hearing issues the HD600 is a great option due to it’s very relaxed treble. Still, the mid-range around 3k may be problematic for you. I’d wager you’re probably wanting a more relaxed sound for easy listening. Might I suggest the HD650? It’s sound signature is a bit more laid back but still incredibly detailed and articulate. You can wear them for hours as well (like the 600) but you won’t find yourself irritated with parts of the mid-range. I would highly suggest checking out my post on the Sennheiser HD 650 and do keep me posted on your decision! I love this headphone. The features are really great and convincing. This really came at the right time because I have been searching for a headphone to buy, but those I have been seeing are not matching my needs. I think this is the right choice for me. Thanks for writing this article. I will share this post to my friends so they can purchase too. My question is what about durability? I will be looking forward to your reply. Durability is very good. When you put them in your hands they admittedly feel a bit light for a headphone in this price range. However, the build is excellent. Since all the parts are replaceable, the 600 should last you a lifetime given proper care. It’s a headphone that will mostly stay in studio, so that helps to keep it in good condition. I’ve had zero issues with mine since 2016 so going on three years now later this year. Hope that helps! Let me know your thoughts. Hello Stu, A great review covering all the features of the HD 600 headphone, the master of the genre as you call it. After so many years of validity in the market, it is surprising that it continues to be very well positioned. I listen to a lot of music and videos on my computer, and I think it would be ideal for me. What is your opinion about the price? Do you have a guarantee? I think the price is perfect for a budding audiophile. Funny you mention that. I was talking with a guy at Audio Advice today and we were discussing The Law of Diminishing Returns. We both agreed that up to around $1000, you’re getting a substantial increase in sound quality vs. something priced less. For instance the $300 range. After $1000 it becomes the opposite: You get a much smaller increase in sound quality vs. astronomically higher prices. This applies to Amplifiers and DACS as well as a lot of other stuff (some not even related to audio). Now as for the HD600, it’s priced in that beginning audiophile sweet spot. It’s not so much money that the majority of people will shy away. For instance before I first bought a pair, I thought the price was more than fair. Why is that? Because I had already heard primer headphones like the Audio Technica ATH M50 and Sony MDR 7506. These 2 are perfect examples of headsets that really make you realize there’s way more to audio than you initially thought. They make you look at music in a completely different way. It’s almost like a gateway drug or something. You know it can get better if you spend more. Fortunately, the 600’s are just that; they will satisfy 99% of people. Just beware of the rabbit hole and your pocket. Once you hear an HD600, you’re going to be amazed sure. But you’ll also likely want more. Lol. I hope that helps! If you’re just going to be listening casually you may opt for the more relaxed Sennheiser HD 650. Highly highly recommended. 600’s are a bit colder and more analytical. This is a really comprehensive and honest review. You have covered just about every aspect of the Sennheiser HD 600, and also all the questions that anyone might wish to ask, and your detail is great. If I were looking for a top of the range headphone, I think that I would definitely take your advice and go with the Sennheiser HD 600. It has so much going for it. I think that I could live with the less than perfect cable, as it sounds as though it is still sufficiently robust. Very many thanks for doing all the hard work so that we don’t have to! I noticed in your review you said the HD 600’s will not suffice while listening to EDM or Hip-hop music because of the low end frequencies and bass that gets rolled off. What is a great pair of headphones that you know of that will get the job done as far as using them for mixing and mastering Hip-hop music? I’m an artist and mixing/mastering engineer looking for the perfect set of headphones to produce Hip-hop music. I’d love your opinion on what genres work the best with the HD 600’s also. I should edit that to say that the 600’s will work for Hip-Hop – in fact I really do enjoy them for that but perhaps it isn’t the best pairing ever for just listening to Hip-Hop. The thing about it is that some people just want more bass and the 600 won’t provide that. For me as an audiophile, my eyes have been opened. I used to actually be a bass head but ever since I first heard this headphone it’s like my tastes have completely changed. I personally (and many others) can enjoy the 600’s for Hip-Hop immensely, but some people just won’t. As for mixing with them, they are still second to none if you can swing the price + an amp. I would take a look at the Sony MDR V6 Review first and foremost for that since it sounds amazing and is very very close to being neutral. The treble is a bit hot at times but otherwise this is probably my most recommended headphone for people. 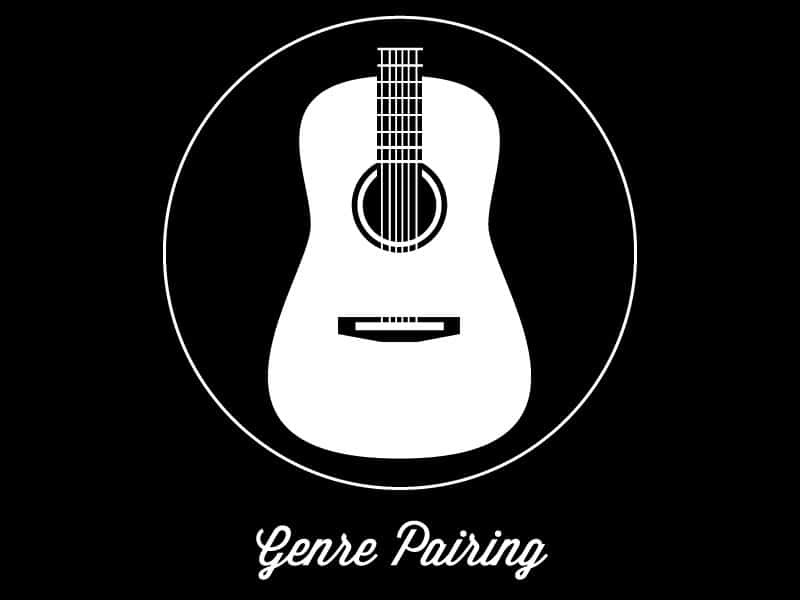 As far as what genres work best for the 600’s? Definitely Rock. Hope that helps! Let me know..
Love the review. Between this and a lot of other reviews I have read across the web the HD 600 really do seem to be a special pair of headphones! I picked up a pair myself to see what all the craze was about and love them so far. This was my entry into what I like to call real audio and honestly, I wish I got them a lot sooner. A couple of questions I have though and I’m not sure if you have covered it but what are your thoughts on MQA (Master Quality Authenticated) and if I was looking at an MQA supported DAC what could you recommend? I plan to make the most out of my Tidal HiFi subscription. Hey man! Thanks so much for the nice comment. A great example of an Amp/DAC that is MQA supported (thanks to a firmware update) would be one of my top recommendations actually: The Dragonfly Red. Also I did a recent review of another MQA partner ifi in my ifi micro iDSD Black Label Review. Check that out as well. For an affordable DAC + MQA with the HD600, just get the Dragonfly man. It’s awesome! As for my impressions of MQA and Tidal? Breathtaking actually. I have been using more of just straight lossless, but master files are the cats meow! Keep me posted on your decision though..